Find out more about the brave Stanford student who volunteered to fight in the Great War as an ambulancier and then went on to become one of the first pilots in the US Air Servce. 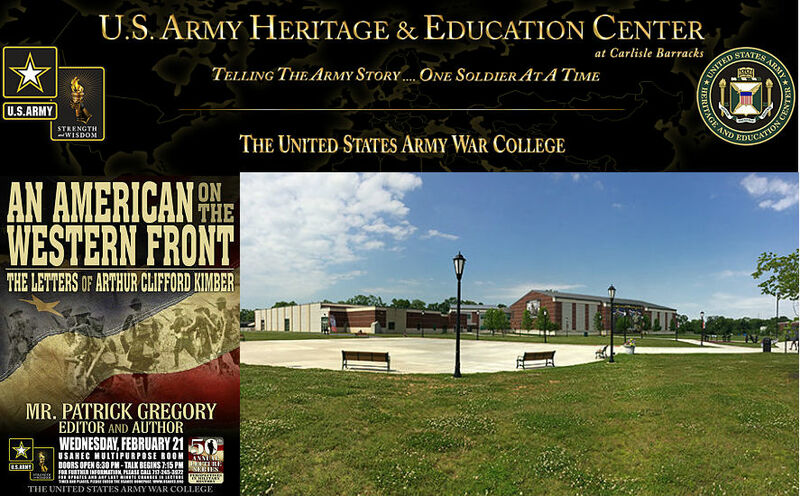 Patrick will be lecturing in the multipurpose rooms of the U.S. Army Heritage and Education Center, 950 Soldiers Drive, Carlisle, Pennsylvania. The building opens at 6:45 p.m.; the talk begins at 7:15 p.m., and the question period concludes around 8:30 p.m. All are welcome! For further information, please call (717) 245-3972. Click here for event details from the organiser and here for a flyer.